4" x 1020" Direct thermal linerless paper label. Continuous roll. Single roll. Also available as a case (Part# LD-R4LF5P). 4" x 1020" Direct thermal linerless paper label. Continuous roll. 20 roll case. Also available as a roll (Part# LD-R4LF5P-R). 2" x 780" Direct thermal linerless paper label. Continuous roll. 36 roll case. Also available as a roll (Part# LD-R2LS5W-R). 3" x 65' Direct thermal linerless paper label. Continuous roll. Single roll. 3" x 65' Direct thermal linerless paper label. Continuous roll. 36 roll case. 3" Direct thermal linerless paper label. Continuous roll, Removeable adhesive. 36 roll case. 4" Direct thermal paper label. Continuous. Single roll. Also available as a case (Part# 800399-004). 4" Direct thermal paper label. Continuous. 12 roll case. Also available as a roll (Part# 800399-004-R). 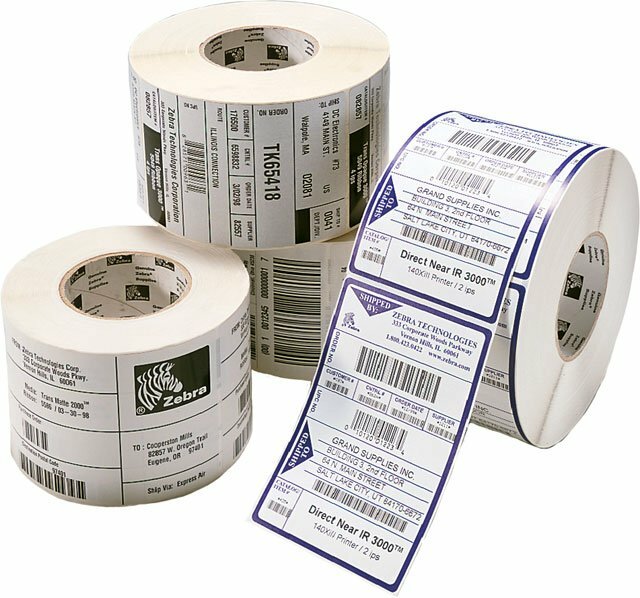 2" Direct thermal paper label. Continuous. Single roll. Now a custom label. 2" Direct thermal paper label. Continuous. 12 roll case. Now a custom label.